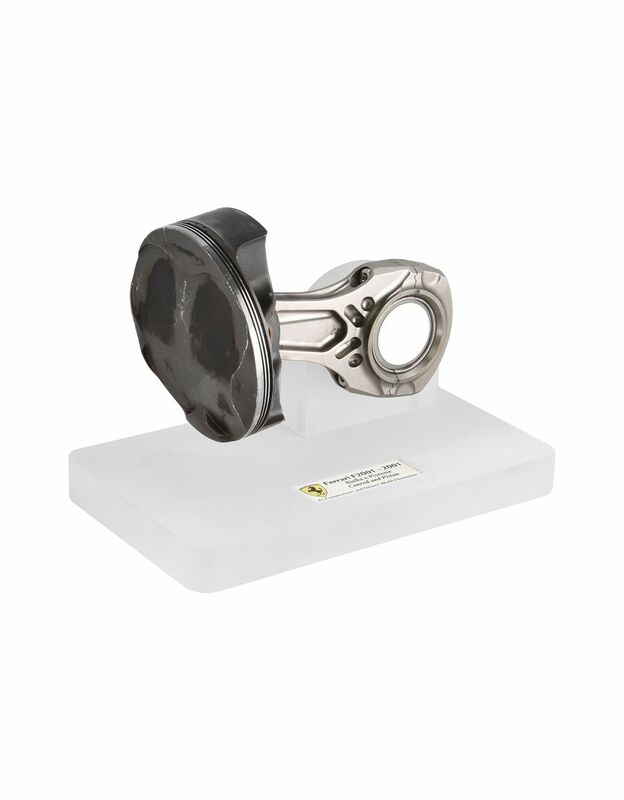 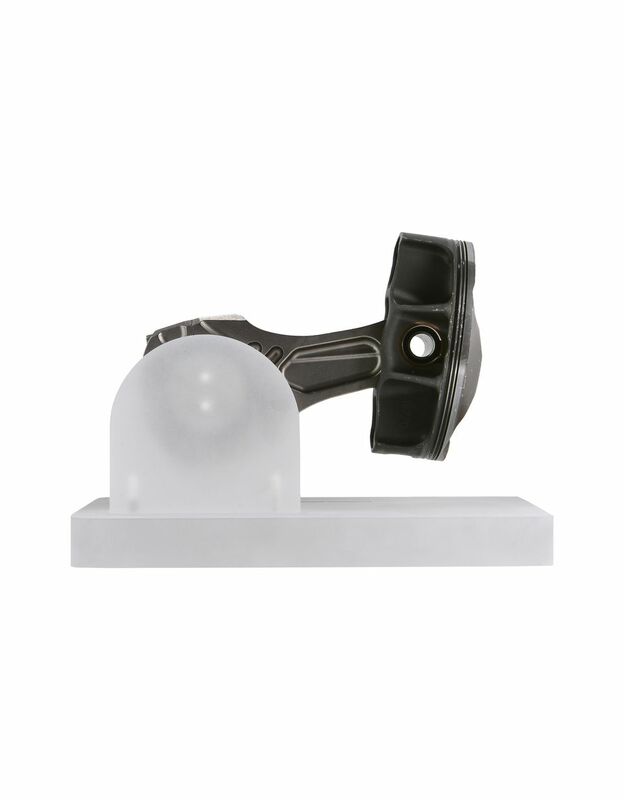 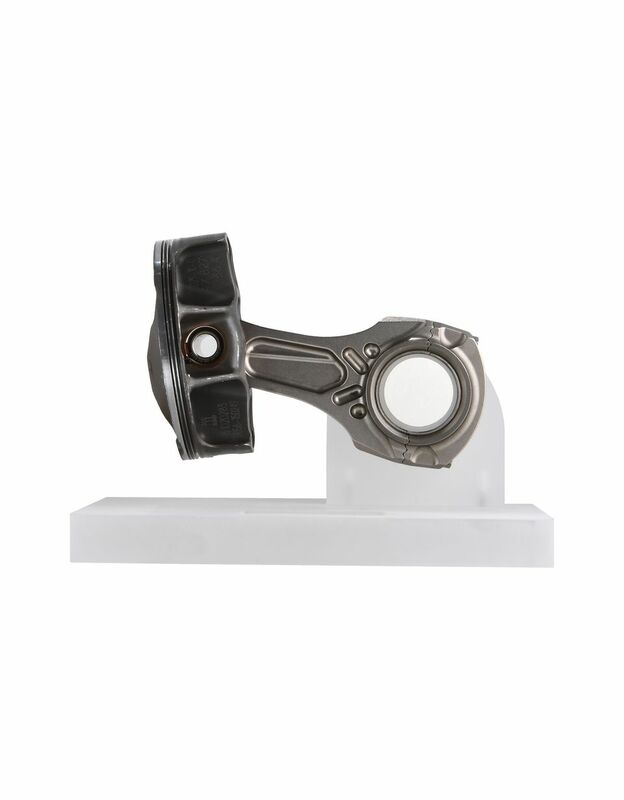 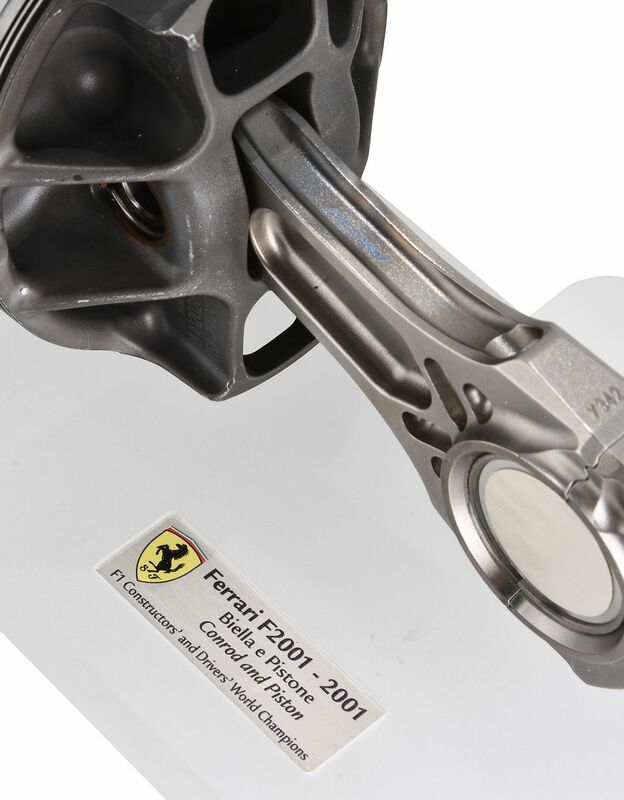 The original piston and connecting rod belonged to the legendary F2001 single seater that won both the Driver and Manufacturer’s titles in an extraordinary Formula 1 season. 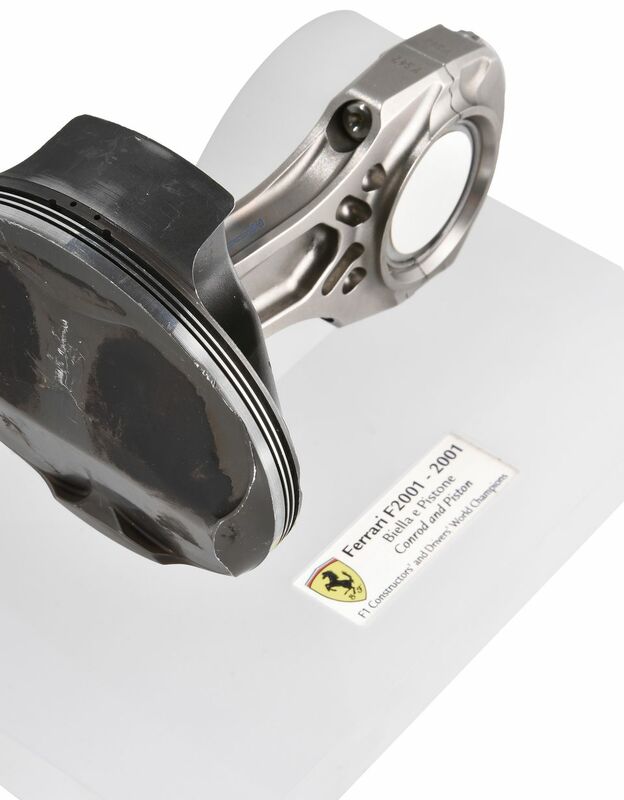 Accompanied by the Scuderia Ferrari certificate of authenticity signed by the Team Principal, the original F2001 piston and connecting rod celebrate an exceptionally successful year: With 9 wins and 11 pole positions, Ferrari finished the Championship with a spectacular victory on the Suzuka circuit. 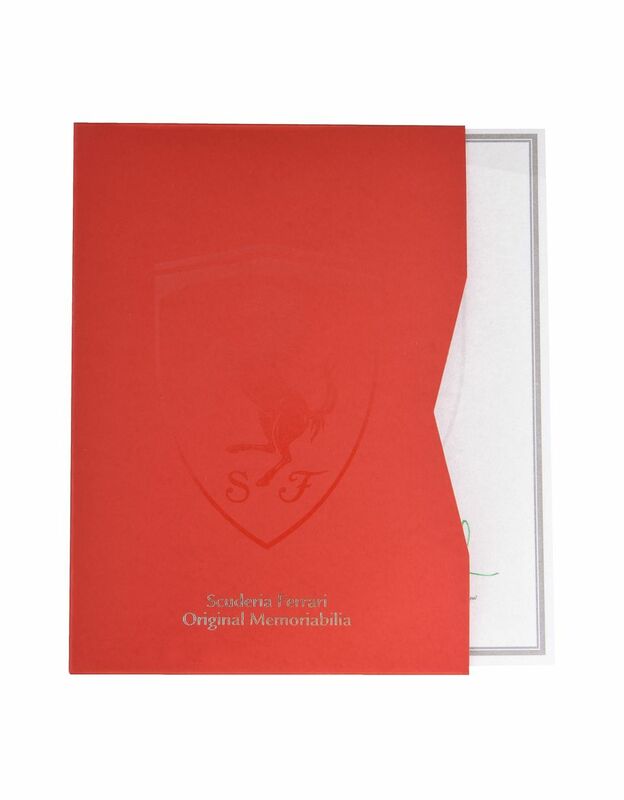 This is a true collector’s item.